Time to learn how CBD can benefit YOU! Looking for helpful ideas on how to use CBD oil? Unlike THC, hemp-based CBD oil is now readily available for online order throughout the United States and in a handful of other countries, like Australia and the UK. And, apart from relief from specific medical conditions, what are the benefits of using cannabidiol (CBD) oil? Anyone interested in improving general health and wellness may enjoy adding CBD into their daily lives. While research on the cannabinoid is still in its infancy, it is non-toxic and is generally considered to be well-tolerated by a wide variety of individuals. Have you ever tried micro-dosing cannabis? As it turns out, a little CBD can go a long way. Maybe you've heard about the growing trend of microdosing? A microdose is a tiny, daily or semi-daily dose. Microdosing CBD is easiest with CBD cannabis oil. A typical microdose is between 2.5 and 5 milligrams. This dose is often considered too low to be therapeutic for many medical conditions. However, there may be some benefit to microdosing every once in a while. Rodent research has found that low doses of the cannabinoid reduce pro-inflammatory compounds in the body. This is a big deal because reduced inflammation can have wide-sweeping beneficial effects on the body, especially during times of stress. While microdosing may have some immediate benefits just like many vitamin supplements, CBD builds up in the body over time. Since the cannabinoid is stored in fat, consistent doses of CBD may be able to deliver more meaningful health changes as it accumulates in your system. However, there is no research that suggests what changes this might cause at this particular time. Hoping for a quick and easy way to calm down? Research has shown that doses as low as 2.5, 5, and 10 milligrams of CBD can successfully ease symptoms of anxiety in mice. Other research suggests that CBD is a neuroprotective antioxidant, potentially protecting the brain from diseases of aging. As a neuroprotective antioxidant, CBD oil may be particularly good to take after a night of reduced sleep. The current thinking on the science here is pretty interesting. Have you ever experienced brain fog after a night of sleep deprivation? There may be a good reason. During sleep, the brain’s lymphatic system clears out toxins that build up during the day. This is why reduced quality of sleep as you age is thought to be a major contributing factor to neurodegenerative diseases like Alzheimer’s. CBD treatment is thought to be so powerful that even short-term treatment has been found to improve overall functioning and cognitive performance in mice after suffering ischemic injury. Ischemic injury occurs when the brain is deprived of adequate blood flow, which often happens during a stroke and as a result of heart disease. Essentially, picking up a CBD sublingual spray or placing a few drops of a CBD oil under your tongue while under the gun at work or after a particularly stressful day is an easy way to protect the body from stress-related damage. Do you know anyone who typically turns to cigarettes or other hard substances when under stress? Additional research published in 2004 suggests that even low doses of the cannabinoid (5 milligrams) helps prevent habitual, learned behaviors in rodents that were exposed to cocaine and amphetamines. So yeah, we ought to look further into how to use CBD oil to quit smoking or drinking, etc. You can go ahead and try it out if you want. Of course, when it comes to holistic stress management, no health single health supplement compares to the long-lasting beneficial effects of healthy diet and lifestyle interventions. Still, the preclinical research suggests that supplementing with cannabidiol may be an excellent way to give your overall health a meaningful boost. CBD could keep you looking young. Seeking an excellent way to fight aging skin? CBD is a potent antioxidant. Why is that important for your skin? Antioxidants reduce damage caused by free radicals, which can cause the skin to age more quickly. According to Project CBD, the cannabinoid may even be more potent than vitamins C and E.
There are two main types of skin aging, intrinsic and extrinsic. Intrinsic aging is simply the body’s response to getting older. Extrinsic aging, however, is aging that is accelerated by environmental and lifestyle factors. UV rays and exposure to environmental pollutants both contribute to the presence of harmful free radicals. To neutralize free radicals, you need an antioxidant. Adding a few drops of CBD oil to your favorite nighttime eye cream or beauty routine can boost the antioxidant potential of your normal skin care regimen. This provides an extra layer of protection against extrinsic aging, which contributes to fine lines, wrinkles, and age spots. There are a couple of great reasons to grab the CBD oil during an acne breakout. First, CBD is a potent antibiotic. A 2008 study has found that the cannabinoid was powerful enough to kill Methicillin-resistant Staphylococcus aureus (MRSA), which is a superbug that is resistant to antibiotic treatment. The common acne pimple may not be as nasty as a MRSA infection, but there is evidence that CBD can certainly handle the job. 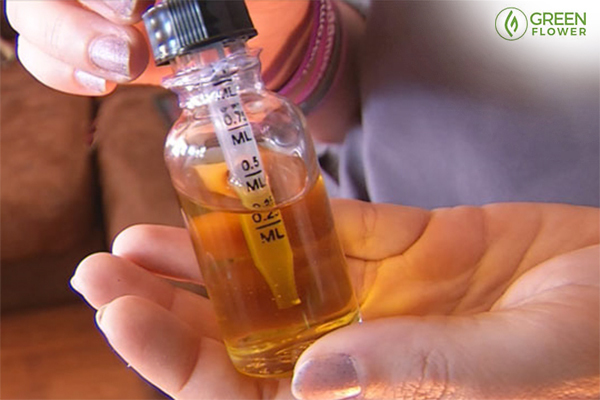 Early experiments suggest that CBD can reduce oil buildup in samples of human skin. A 2014 study published in the Journal of Clinical Investigation found that CBD treatment effectively eases inflammation and has a sebostatic effect. That means that the cannabinoid potentially reduces acne blemishes, which are caused by inflammation, bacterial infection, and the overproduction of sebum, which is the natural oil that moisturizes the skin. A well-made topical can work wonders. When looking at ways of how to use CBD oil, this one is especially counter-intuitive. While many consume this stuff orally, the benefits of topical CBD should not be overlooked. In general, topical cannabis can be used to relieve pain and inflammation in anything from a twisted ankle, to burns, and minor abrasions. Unless the oil is infused into a transdermal patch, CBD oil placed directly on the skin does not enter the bloodstream. So, higher doses of the oil can be used to alleviate pain and inflammation in the skin. 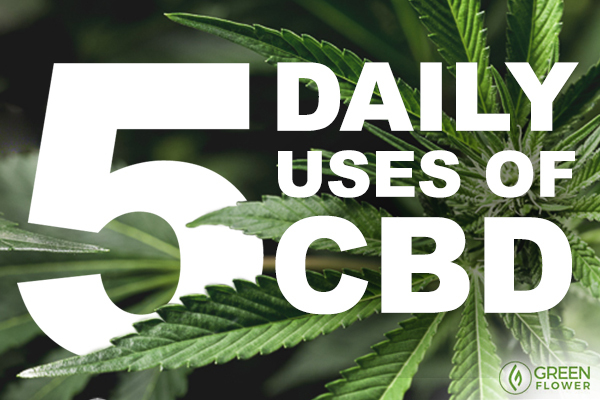 While it is not recommended to use CBD directly on an open wound (though it is an antibiotic), CBD oil can be used on bruises, bug bites, and other areas of soreness. There may also be some serious benefits to transdermal patches infused with CBD. In 2016, a study published in the European Journal of Pain found that transdermal CBD effectively eased pain and inflammation in mouse models of arthritis. Medical cannabis is now legal in so many places and yet so few people know anything about it. You hear cannabis can help with (insert ailment), but where to even start? Green Flower’s Beginners Series is a powerful video tool designed to help spread trusted cannabis knowledge to the people who need it most. Learn the essentials on how to approach specific ailments with cannabis, how to get the most benefits, and much more.